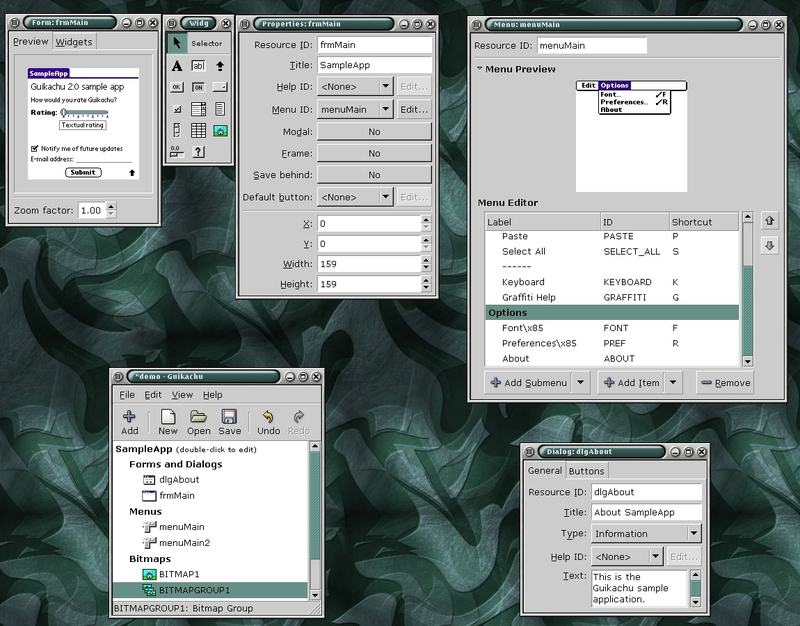 Here is a screenshot showing Guikachu 1.5 and some of its new features. 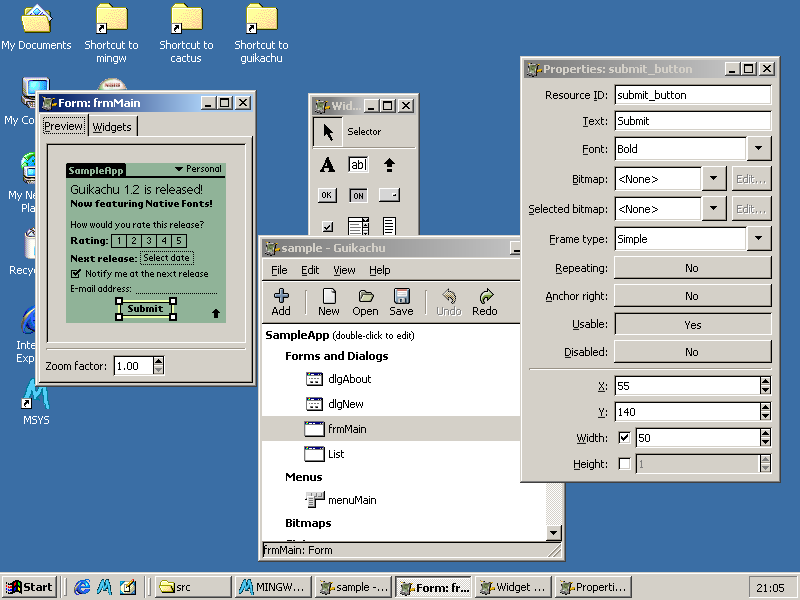 Click here for a screenshot of Guikachu running on Windows 2000. The latest stable release is 1.4.2, the latest development release is 1.5.11. 2007-08-04 Guikachu 1.5.11 contains numerous bugfixes and improvements suggested by Michał Lisowski. If no new issues arise, this is now REALLY to become the beta for 2.0. Promise. Honestly. 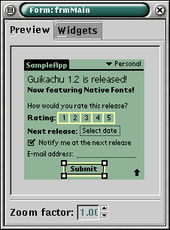 2006-10-07 Guikachu 1.5.10 is released today, with a Windows installer as well. Unless some important issue is found with this release, this is to become 2.0 in a couple of weeks. 2006-05-13 Guikachu 1.5.9 fixes all known Windows portability bugs. Please test it. A binary installer for Windows is in the short-term plans. 2005-11-25 Guikachu running on Windows! After making the GNOME-VFS and the GConf dependancy optional, I used MinGW to compile Guikachu for Windows. The process is not yet cleaned up, some Makefile-tweaking is required, but my plan is to make 1.5.8 compile out-of-the-box on Windows. Then hopefully we can provide a binary installation package for 2.0. This tour hilights the features of Guikachu by taking you through the steps of creating your first PalmOS application, from the first time you start Guikachu, to the point when your program can go live on an emulator, or a real Palm device. Note that this list is always based on the latest development release. The 1.4 series contains the stable releases, and 1.5 is development series where new features are added, but the documentation and translations may be out of sync and bugs may appear.